Nairobi is a fascinating place. On one hand, it’s a city with surprisingly fast mobile Internet (much faster than 4G in Denmark), practically the birthplace of mobile money transfer with MPESA, and a healthy startup culture, drawing global expat talent and numerous startup incubators, with iHub leading the way since 2010. It is also a city that deals with high inequality and unemployment. We joined forces with Lynk — a startup that successfully bridges the gap between thousands of Kenyan consumers and informal workers for whatever job they need done — to help with this problem. Together, we designed a solution to connect craftsman and customers more effectively and efficiently. There is, in Kenya, a big market for informal workers or Fundis (Swahili for handyman), and a lot of furniture making and selling happens on the side of the Ngong road. Here Fundis are ready to custom build anything from chairs to beds and sofas. 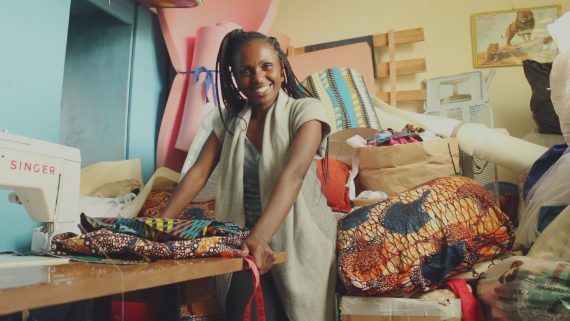 Together with Lynk, we set about designing a go-to-market strategy and a prototype for a new service to create jobs in East Africa by connecting these Kenyan artisans and skilled workers with Kenyan consumers to improve the furniture shopping experience. To do this, we headed to Nairobi to conduct guerilla research, customer and stakeholder interviews and a Rumble™ (Fjord’s intense two-day workshop methodology) with customers, the Lynk team and stakeholders. We learned that process and experience are very different from what we are used to in the western world and that, while there are many skilled furniture makers, there’s very low trust from consumers regarding whether workers will deliver what was asked for, on time and at the promised quality. As a solution, we created a digital platform that connects skilled workers and artisans with furniture buyers, providing a compelling and useful service while increasing transparency and trust in what has historically been a very untrusted market. By creating a better way to connect people, Lynk is not only improving the customer experience for those consumers but, as a result, creating more jobs and financially empowering artisans like never before.